Pocket-sized fun anywhere you go. The Arbor Pocket Rocket Foundation Cruiser Complete makes local commutes exciting and the city your playground, so don't think twice about bringing your Pocket Rocket along. Arbor Easyrider Series - Bogart Wheels  Soft and lightweight, the Bogart is designed for pure sidewalk surfing on your quick commute. This 61mm wheel is perfect for making a few turns on a trip to the corner store or dodging obstacles when pushing through campus. Momentum Core  The Momentum Core is all about a smooth riding experience for midday missions or longer commutes. 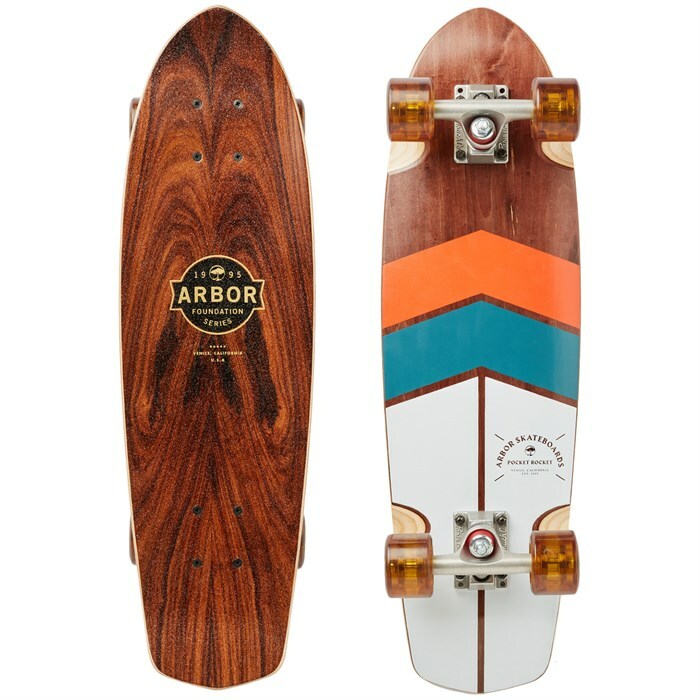 Arbor gave the 38mm core a higher center ridge that allows the urethane to stay true to shape and effectively dampen bumpy rides without sacrificing speed or maneuverability on your daily journeys. Venice Formula  The Venice Formula is a cruiser focused blend that's designed to take on all the rough roads that might comes your way. No matter what kind of surface you're on, this soft, grippy formula gives the smooth sensation of cruising down the boardwalk.